Zeropark is the source of high quality Push, Pop and Domain traffic for your performance marketing campaigns. Check our Traffic Volume Tool and estimate the potential of your ads. Full-page ads triggered by redirects from domain misspellings. Zeropark's high-quality traffic brings outstanding results with these verticals. From the fastest campaign approval to automatic campaign optimization, Zeropark has the tools to make your campaigns highly profitable. Manual and automatic bot filtering. A dedicated team for approving your campaigns. Target by geos, keywords, devices, carriers, OS versions and more. Let AI optimize your campaign to an eCPA goal or set up automation rules. A/B test your Push Ads creatives by distributing traffic among up to five ad variants. 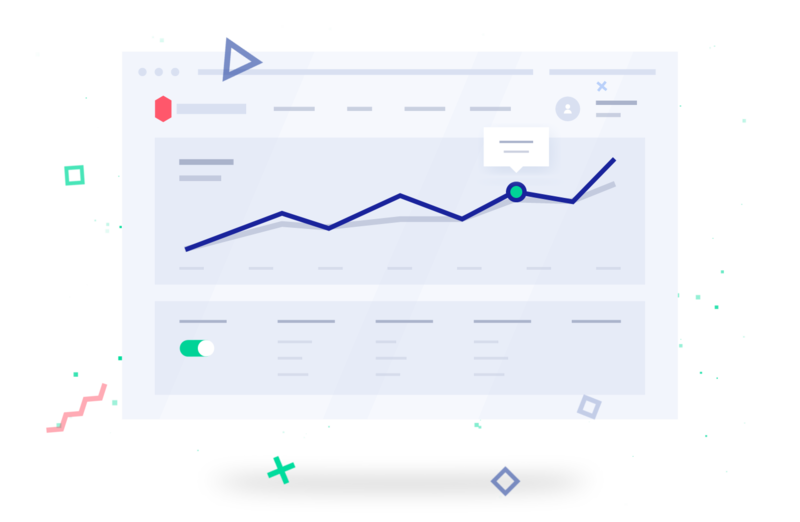 Set up your campaigns in no time and get clear insights on their performance. Zeropark is a key asset in our activity! It has a great interface and a lot of targeting options, that allow us to achieve our strategic objectives and much more. The support team is super helpful and gives always lots of awesome advice. I've been working with Zeropark for the last 5 years and they've done a wonderful job with their system UI and dashboard. Overall it's one of the easiest traffic sources to work with thanks to the filters available, automation and campaign creation process which is quite transparent. I have run campaigns on Zeropark for years. It is not a new traffic source to me. In fact, in 2018, it was my most profitable traffic source! I believe 2019 will be “The Year of Push” and I’m very excited to work on getting some campaigns profitable and scaling using Zeropark’s awesome self-serve at platform. Zeropark makes it really easy to run push ads and also to split test creatives. I also enjoyed the fact that Zeropark is closely integrated with Voluum. The best thing of course is that push traffic converts very well and I was able to bring my campaigns into profit in extremely short time! Zeropark is the best ad exchange on the market. Period. Zeropark is more than quality traffic. It’s a team of professionals. With help from our Support, Account Management and Campaign Approval teams, your success in Performance Marketing is right around the corner.